Zero has a lot of things I want to like: ultra-violence, a mysterious protagonist and a ton of knock-down, drag-out action. But the comic isn’t structured well, so the story doesn’t transition smoothly from moment to moment. Instead, Zero reads like a jagged mixture of scenes pieced together by a tenuous plot. The comic opens in the future, then goes back to the past to tell the story of Benjamin Aschner, a soldier whose job it is to load bullets into the barrel of a tank but who actually works as an operative for some secretive force. But my synopsis is really pieced together from the jump-and-skip plot that runs through the comic. 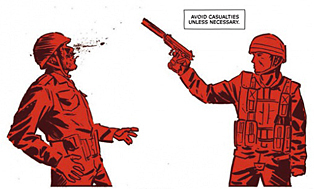 A lot of Ales Kot’s story is fractured and broken by non-sequitur scenes that only add to the chaos. What works is the crazy throwdown between two hyped-up soldiers. Not enough background is given to explain their situation, but you can gather that they’ve been injected by some serum that makes them super strong and impervious to pain, unable to die or both. But again, I’m not fully sure. Michael Walsh depicts the fight scenes well, so that even though the story lacks clarity, the action is smooth. There are a few really good scenes, particularly those involving the drugged-out soldiers as they abuse each other with bricks and rebar. Walsh is great at drawing faces, so the insanity of the action is brought to life by the way the characters react to it. I wouldn’t say Zero is a complete waste, because it has some cool elements buried in its herky-jerky plot. But the comic doesn’t do enough to clearly establish its purpose. Because this is the first issue, Kot needs to find a way to draw readers back. 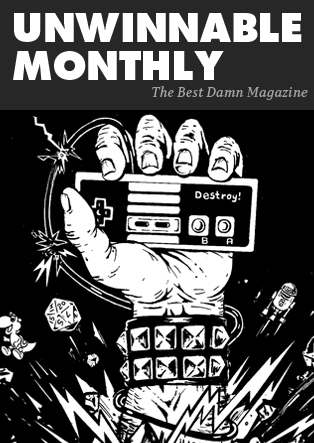 Hopefully, the second issue will be less disorderly and we’ll have a much more linear narrative to follow. 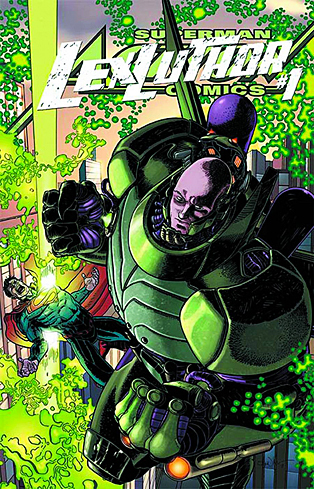 Even though he seems to be a major player in Forever Evil, Lex Luthor is still being given his own starring role in this issue of Action Comics. Where Forever Evil starts with Lex in a helicopter talking to Thomas Kord, Action Comics shows what preceded this moment. Not surprisingly, Lex Luthor is a bad guy, and Charles Soule exploits his darkness in this issue. Soule definitely makes Lex calculating and evil, but that’s all he makes him. We don’t see Luthor as more than a one-dimensional character, and the issue feels like a missed opportunity. As we’ve seen in other series (like Brian Azzarello’s fantastic Lex Luthor: Man of Steel), Luthor can be more than just a bad guy who likes to do bad things. In this issue, Luthor is all bad, so we don’t explore any other facet of the character and end where we began with the story of a villain doing villainous things. Where Soule does do a nice job is in showing Luthor’s ability to manipulate. He plays a few people against themselves in this issue, and the way his horrible plan comes together in the end is pretty impressive. Luthor’s ends-based thinking is what defines him here, and he wraps up his conflicts masterfully. Artwise, Raymond Bermudez is inconsistent. Some of his designs are sleek and sharp, but sometimes his faces are misshapen and odd-looking. Sets and scenery really benefit from Bermudez’s touch, and Luthor’s redesigned green war suit is more modern, fitting well with the New 52. 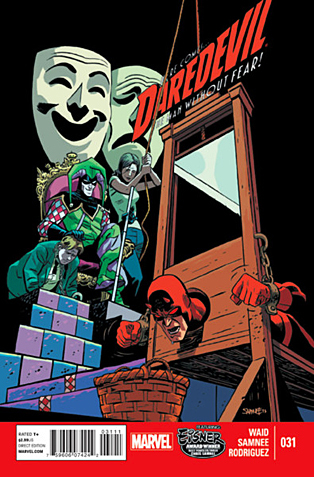 I like that DC is giving its villains starring roles in their own one-shots, but the story should do more than deliver what readers already know. Seeing Lex Luthor be evil is nothing new, and while we’re reminded of his cleverness and planning, nothing about this story is fresh save for the costume. Soule clearly knows how to make Lex dangerous; I just wish he would have done so in a more innovative way. Bannen’s Book of the Week: Leave it to Mark Waid to make Daredevil take a turn towards the absurd and still deliver a fantastic story. Waid has really grounded his Daredevil stories in some semblance of reality, even when dealing with characters like the Silver Surfer. But this issue, involving a cloud of giant ants that blot out the sun and cause a rainstorm, really stretches that line to its breaking point. Matt Murdock’s cleverness knows no bounds, and the ways Waid crafts the story and builds the tension speak to his prowess as a writer. The issue opens with a seemingly innocuous trial that takes an odd turn and ends up pushing the citizens of New York into a riotous frenzy. Of course, only Matt can “see” the truth, and he has to race against time to save the District Attorney’s life and restore order. The other thing Waid does well is show that Matt does not operate on his own. When he teams up with Hank Pym, the results are strange and fantastic. Of course, this is due to Chris Samnee’s awesome art stylings. Once again he crafts beautiful image after beautiful image, filling the pages with one vibrant shot after another. To this end, Javier Rodriguez helps set the tone with his powerful colors, particularly those where he darkens Matt’s costume for effect. The final shot is a real cliffhanger and a great mixture of writing, illustrations and colors. The buildup to the end makes the finale even better, and Waid really captures the hysteria of a confused city. How many great issues of Daredevil can Mark Waid and Chris Samnee keep churning out? I’m blown away by how stellar a series this is and how each time they find a way to make the story new and exciting. I only hope that what we saw on the last page isn’t anything more than a horrible joke played by a villainous foe. Otherwise, we’re going to be in for some real dark days in Matt Murdock’s future.